Trailer For Upcoming Hong Kong Action Film "Lady Detective Shadow"
Director Si Shu-Bu having previously completed production on his debut film “Lady Detective Shadow” is gearing up to make his first feature available in the west. 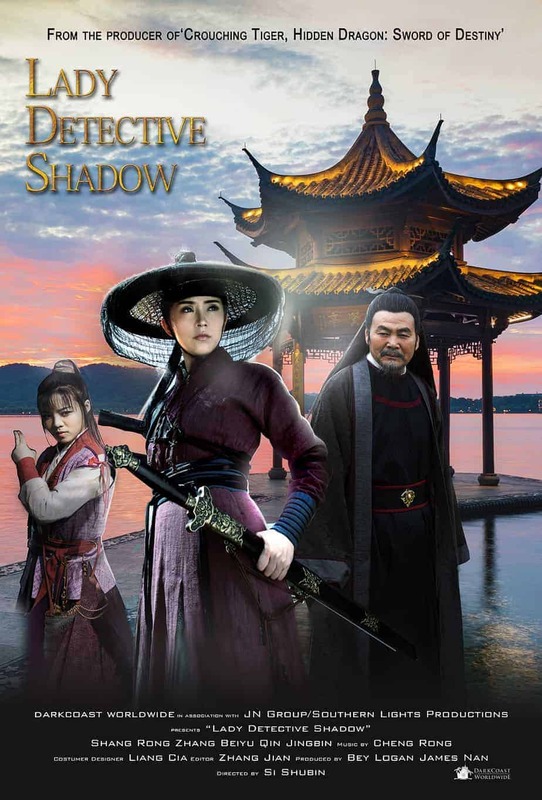 Detective Lady Shadow was previously released in theaters across China in May of 2018. TriCoast Worldwide will release “Lady Detective Shadow” onto various digital streaming platforms on February 26th. A trailer for the film can be viewed below. Written by Hu Rong, LADY DETECTIVE SHADOW sees its protagonist embark on a dangerous journey through the badlands of Ancient China, which is governed by the imperial houses and bandits alike. After several inexplicable brutal murders plague a remote desert area, the fierce and famous Lady Detective Shadow, Sima Feiyan, (Shang Rong) must use all her wit, wisdom and kung fu skills to find the murderers and instill justice. But as she delves deeper into the mystery, she soon discovers there is much more at stake than just another renegade killer.